Timepieces are a tricky situation and they keeps us constantly changing directions on what we use each day. We have our mainstays for formal and business attire, but casual outfits can be matched with anything from a Omega Speedmaster to a Uniform Wares 302 Chrono. That price gap is thousands of dollars and means you’re going from a unique mechanical watch to a stylish battery-powered watch. But if it looks good, you’re set. We’re featuring another watch perfect for casual wear that is damn cheap. The PXR5 is a watch by Void Watches that was introduced in 2005 in collaboration with Industrial Designer, Michael Young. This watch is celebrating its 10 year anniversary and is still cemented in the Void Watches line. This watch is relatively small and measures: W36 x H46 x D8mm. 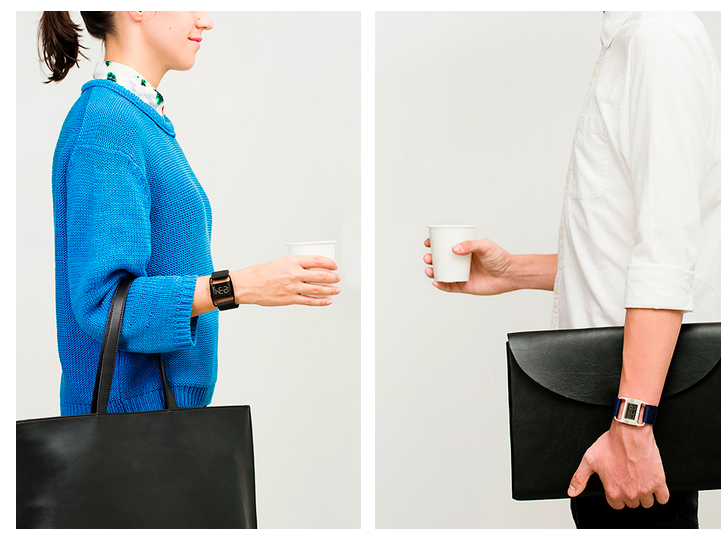 At this size, it’s a unisex watch and in a sweet spot for both women and men. Not chunky, but sleek and slender on your wrist. This belt buckle style watch has an industrial and minimalist look and is suitable for casual and work outfits. The case is made of 316 Stainless Steel and comes in four finishes – from Polished Gold to Brushed Silver. 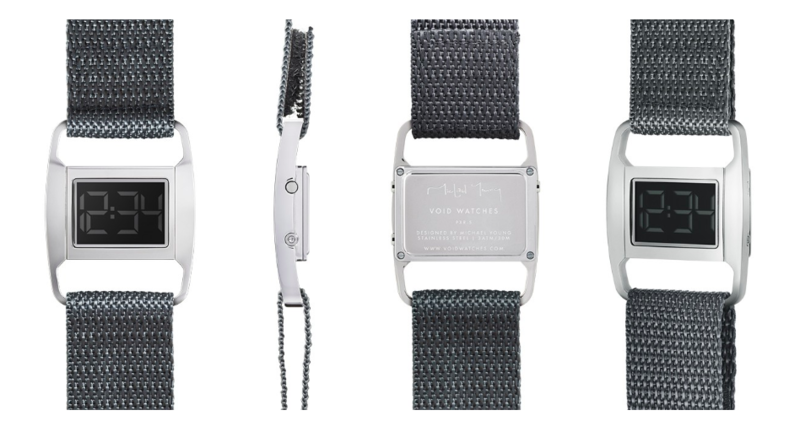 The watch is powered by a 1.5V battery and can be replaced through the case back. The LCD screen shows the time only (no date). The water resistance on this watch is 3 ATM, meaning it’s suitable for washing your hands, splash/rain resistant, but not for showering or swimming. 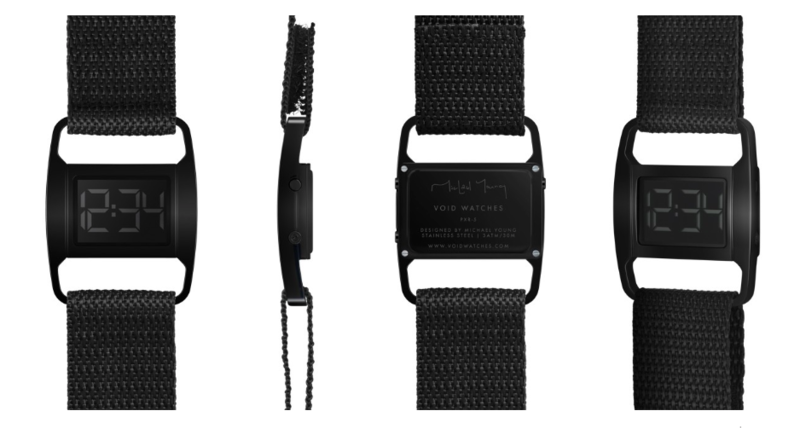 This flexible watch comes with a nylon strap with velcro, and additional straps are available for purchase on the site. 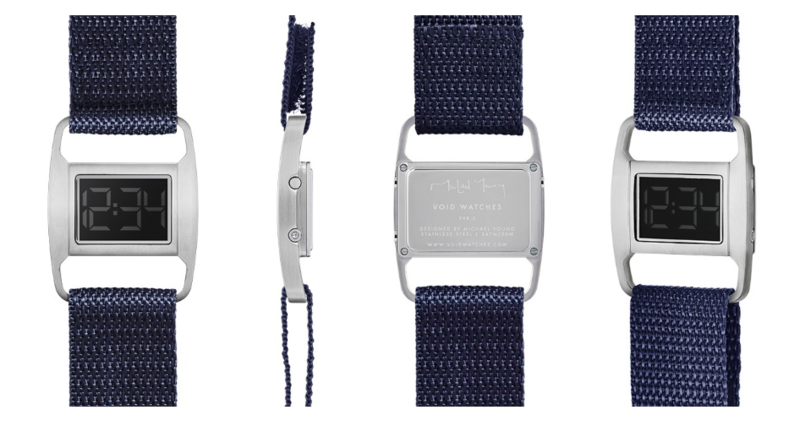 At $155 a watch, this is a good choice for an all-around watch.